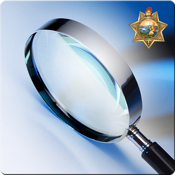 This app is a model of the investigation process, designed by a panel of experts, and intended for California Law Enforcement investigators. The new investigator will benefit by getting up-to-speed more quickly and seasoned investigators can use it as a reference when working a case. The app first breaks down the process into: Conduct Case, Apprehend Suspects, Complete Reports, Prepare Case, and Handle Media. The process is broken down further for each phase and provides access to suggested Inputs, Processes, Guidelines, and Outputs at each task level. Checklists help to save your progress while working a case. This app does not save case specific information to your phone. Only California Commission on Peace Officer Standards & Training (POST) Learning Portal users can use this tool. Users must sign in with their Learning Portal User Name and Password. Access to the Learning Portal is limited to active law enforcement working for a California agency in the POST program. When seeking support on the tool, visit the Learning Portal discussion group under Discussions (www.LP.post.ca.gov), email askltrc@post.ca.gov, or call/text (916) 304-5872. This is version 1.0.0. Your feedback is essential to creating future versions. Please send feedback to askltrc@post.ca.gov or (916) 304-5872 (SMS/Text OK).